After this long and brutal winter, most of us are ready to shed winter’s mantle and frolic among spring’s flowers. There are many small and medium sized trees that can add flowering beauty to the landscape. 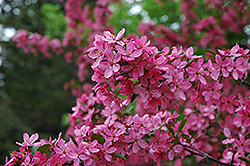 One of the most sought after is crabapples. They come in various sizes, shape s, and flower color. 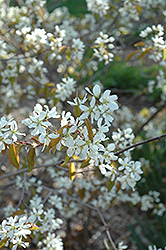 They can vary from the dwarf Sargent Crabapple with a height of 6’-8’ with white flowers to the large crabapples such as Prairie Fire Crabapple an 18’-20’ beauty with bright pink flowers. Most crabapples produce a small berry that is not only eye-catching in the winter, but a great treat for the birds. The great versatility of this tree insures that there is most likely one perfect for every yard. 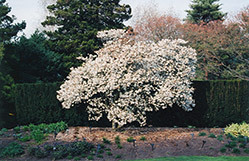 Another diverse group of trees is the Magnolia family. They ran ge in flower time and shape from the shrubby white flowering Star Magnolia in the late spring to early summer bloomers such as Sweet Bay Magnolia. This small tree grows with a generally upright form with medium sized fragrant flowers. The foliage is dark green glossy upper leaf with a silver tint underneath, making it very attractive through the summer. In addition to these two, there are many magnolia varieties from which to choose. If a native tree is on your wish list, three of the top choices are Serviceberry, Redbud, and Dogwood. All can be found here in Central Ohio growing wild and all make up a fine showing in the spring. Serviceberries are generally a multi-stemmed small size tree of 20’-25’ at full height. The very early spring flowers (one of the first trees to bloom) are white. This member of the apple family is a four-season tree with flowers in the spring, attractive berry ripening in June (the other common native Juneberry), and attractive silver tinted bark in the winter. Dogwoods are considered by many as the “Queen” of the spring flowering trees. Spring to them means the beautiful layered branches of dogwoods in full bloom. Like many Queens, this one too can be demanding. Dogwoods need a moist, well-drained protected site shielded from extreme winds and the hot afternoon sun. Planted in the right area, dogwoods, with a choice of red, pink, or white flowers, can make a visual impact that stands up to all other spring flowering trees. These are just a few of the many varieties of spring flowering trees we have available at Oakland Nurseries. Stop by any of our four locations and consult with an Oakland Professional. We will be happy to help you select the ideal flowering tree for your landscape. This entry was posted in Gardening, Landscape and tagged Columbus, Flowering, nursery, Oakland, Ohio, Spring, Trees. Bookmark the permalink.